At the Hôtel Le Belvédère***, we can suggest plenty of activities either at the hotel or in the area. In the Belvédère hotel, in the nature heart, enjoy relaxing massages. 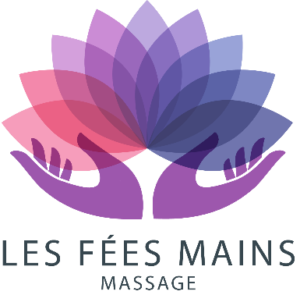 In order to offert you the news prestation’s, our partner Madam BERNARD JULIE is going to propose you massage and wellness service from the beginning of June. If you just want a change of scene, if you want to spend some precious time with friends or family, come and relax, have a breath of fresh air and recharge your batteries – savour the healthy pleasure of immersing yourself in the welcoming countryside of the South Ardèche. 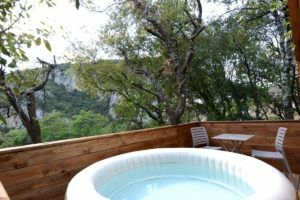 Your hotel « Le Belvédère » can suggest a wide range of outdoor sporting activities to explore the Ardèche, organised by local, State-qualified instructors. Canoe try Canoe/Kayaking, trips of the Ardeche Gorges, to Canyoning, to Caving, to Via-Ferrata. At the hotel « Le Belvédère », offer you a breath of relaxation, in the nature, with one of our private Hot Tub with a beautifull view on the Ardeche’s gorges. You accede to your spa whenever you want between 4:00pm and midnight and between 08:30 and 11:00am the next day. The price is 25 € for 2 people. Book the “Canoë Package”: Hôtel accommodation and two days canoe trip of 8km and 24km.